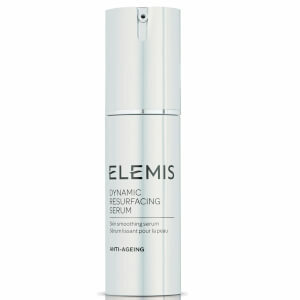 The Elemis Tri-Enzyme Resurfacing Night Cream stimulates the skin's natural cell renewal cycle, actively smoothing and enhancing the skin whilst cellular respiration is at its optimum during sleep. A synergistic lipid complex is combined with powerful actives to leave skin feeling soft and super-hydrated. Imperfections, lines, and wrinkles are reduced as a stunning complexion is revealed. Smoothes and enhances the skin whilst cellular respiration is at its optimum during sleep. Protects against environmental damage and pollution, restoring skin clarity. Skin is softer and super hydrated. After cleansing and toning at night time, apply a small amount to your finger tips and massage into your face and neck. We recommend using Tri-Enzyme Resurfacing Facial Wash followed by Tri-Enzyme Resurfacing Serum before Tri-Enzyme Resurfacing Night Cream for maximum results. Aqua/Water/Eau, Glycerin, Methyl Gluceth-20, C14-22 Alcohols, Propylene Glycol, Ammonium Acryloyldimethyltaurate/VP Copolymer, Hexyldecanol, Hexyldecyl Laurate, Hydroxypropyl Starch Phosphate, Soybean Glycerides, Betaine, C12-20 Alkylglucoside, Sorbitol, Phenoxyethanol, Benzyl Alcohol, Butyrospermum Parkii (Shea) Butter Unsaponifiables, Tromethamine, Behenyl Alcohol, Sodium PCA, Butyrospermum Parkii (Shea) Butter, Disodium EDTA, Citric Acid, Methylparaben, Xanthan Gum, Fragrance (Parfum), Malic Acid, Magnesium Ascorbyl Phosphate, Tocopherol, Hydrogenated Castor Oil, Butylparaben, Malpighia Glabra (Acerola) Fruit Extract, Stearyl Alcohol, Serine, Ethylparaben, Glycine, Kaolin, Tartaric Acid, Glutamic Acid, Protease, Propylparaben, Papain, Freesia Alba Flower Extract, Gardenia Tahitensis (Tiare) Flower Extract, Hibiscus Sabdariffa Flower Extract, Lilium Candidum (White Lily) Flower Extract, Alanine, Arginine, Lysine, Subtilisin, Threonine, Poria Cocos (White Truffle) Root Extract, Proline, Sodium Phosphate, Faex/Yeast Extract/Extrait de Levure. I really like this product. 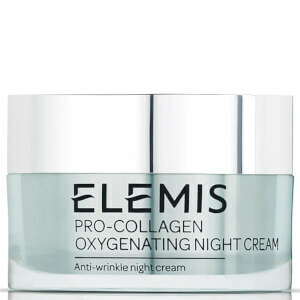 Following from cleansing and toning this is a great cream to use at night. 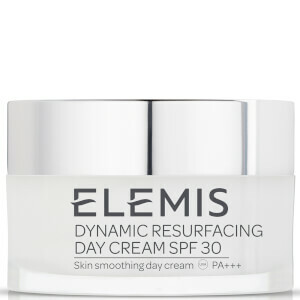 I use in combination with the Elemis brightening serum during the day and the combination appears to be working well.